You can feel good about purchasing Rollex aluminum and steel building products because they can be recycled again and again, forever. 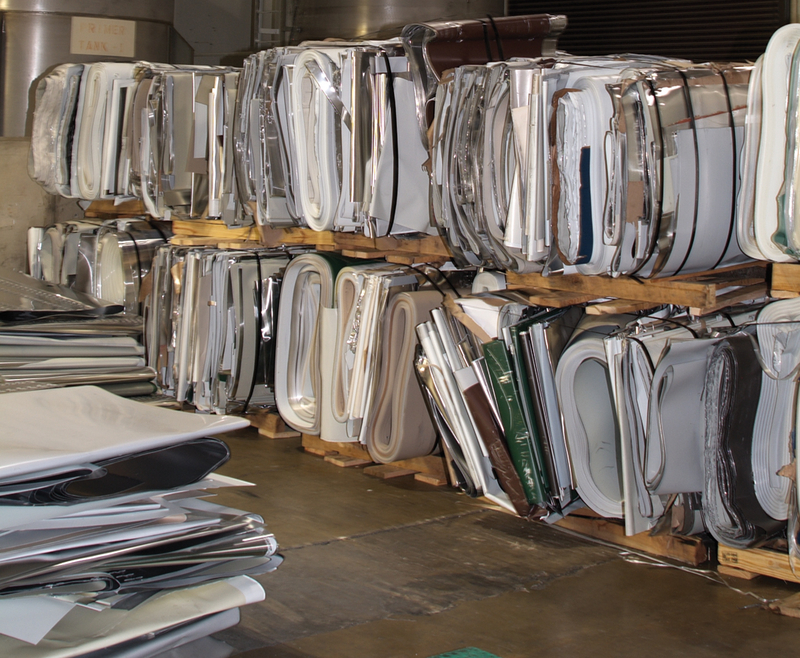 Our processes and procedures have been specifically designed to reduce waste and conserve energy, all while maintaining the beauty and quality of our products. Both aluminum and steel are easily recycled. In fact, Steel is North America's #1 recycled material. Each year, more steel is recycled in the US than paper, plastic, aluminum and glass combined. As a part of this effort, Rollex recycles millions of pounds of steel and aluminum. Recycling aluminum uses only ~5% of the energy it takes to initially make aluminum using raw materials. Additionally, using recycled aluminum instead of raw materials reduces air pollution from Carbon, Sulfur and Nitrogen Dioxides by 95% and water pollution by 97%.